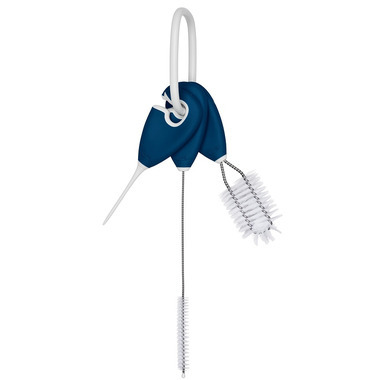 OXO Tot Straw & Sippy Cups Cleaning Set Navy is a trio of cup-cleaning tools that reaches every spot. 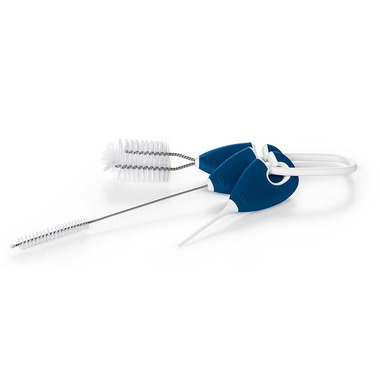 The straw brush, lid brush and spout cleaner clip to a ring so the right tool is always handy. 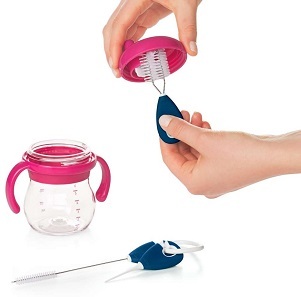 Use the set of differently-shaped brushes to clean openings and crevices within sippy cups, straw cups, sports bottles and pump parts. The slim-as-a-toothpick sippy-spout explores even the tiniest openings to ensure no drop of juice is left behind. All three tools have non-slip handles so cleaning is easy, even when wet, and hang together on a plastic ring to keep them handy.